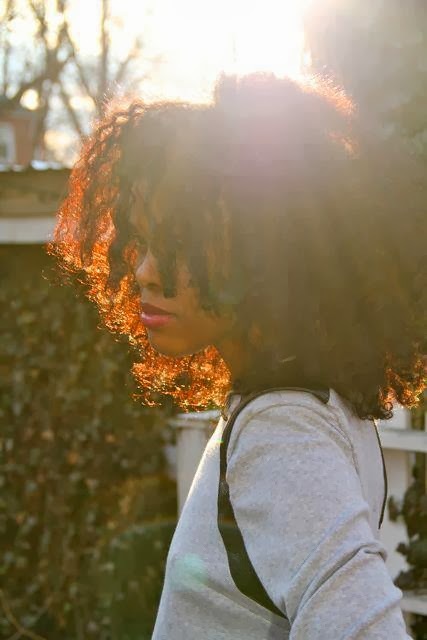 Can Henna Loosen Your Curl Pattern? After extensive hours of research on this topic, the answer is yes and no. I bet you’re wondering how that could be. It should just be yes or no, bet’s break down everything first so you get a better understanding of what I mean. Is it safer than manufactured dyes? YES! That’s why many naturals use it because it can color their hair without damaging the cortex of the hair. Please make sure to use 100% henna when doing the process. Altered henna has additives that will cause damage to your hair kinks/curls/coils or add to damage that has already been there. Naturals use it because it’s safer than traditional dyes and many naturals prefer natural ingredients. Also, users can get different variations of red depending on where it was grown ranging from auburn to cherry. Henna is known to highlight your hair. If you hair is jet black more than likely henna won’t show up after the first treatment or it may have a reddish shine in the sunlight. Also, after using henna your hair is stronger, shinier and healthier because it fills in the weak areas of the hair strand hence it’s a great conditioning treatment. NATURAL HENNA DOES NOT DARKEN YOUR HAIR AT ALL, if it says that it does then DO NOT BUY IT. The product has been altered which can damage your hair. Does Henna Loosen Hair Pattern? Although Henna is safe and it is safe on hair, why do many naturals claim it alters their pattern? Hennaworks different for every natural’s hair. It seems that Henna changes the weight of the strands through plant deposits although it is not changing the chemical structure of the strand. Henna also fills in rough spots on the cuticle and makes hair softer and smoother for many who use it. Various hair blogs/forums have different naturals not seeing any difference to their hair just that it shines in the sunlight. Other who have looser curl patterns reported this after using henna continuously (about the 5th treatment). Really & truly it just depends on how our hair takes the henna or how often you use it and the only way for one to know if it will alter their hair pattern is to try it. All we ask is to ensure it is 100% henna you are using! Have you tried Henna and did it alter your hair pattern or texture? Share below!